New Portal Built by Realtors? We will use contributions from this crowdfunding campaign to build the best home search portal ever in real estate. This will be a website designed to sell our listings rather than using our listings to take advantage of us. Crowdfunding will also be used to create the national TV, print and Internet advertising we will need to market this website. Once the website is completed (projected January 2018) you as a campaign leader will have the first opportunity to demo it. You will also be given an insiders preview of the national TV commercials and blitz marketing campaign we develop to attract buyers to the website. After you have approved the website and marketing, it will then be made available to crowdfunding contributors, followed by other agents throughout the country. Then we will launch a $50,000,000 Regulation A+ securities offering to enable every licensed agent and broker the opportunity to become an owner. This $50,000,000 shouldn’t be difficult to raise… it’s an average of less than $50 per Realtor. I plan to buy at least $100,000 in stock myself. That money will be used for a national blitz marketing campaign to make every buyer aware of our website. Once we have our buyers back, we will be able to retain our sellers and ensure our future. Recapturing control of our buyers and regaining control of our industry is the #1 goal of this project. Sellers need buyers. If we have the buyers, sellers will need us. It seems far-fetched that he could get enough realtors on-board and get them to cough up money to build a new portal. But realtors need to do something to save our jobs, and having our own portal would solve everything. There is one solution that would solve everything – start a new club. They are advertising it as a pocket-listing website, but it could go big and offer the industry a viable alternative to the current MLS system. A wanted and needed alternative! Privatize the marketplace, and force consumers to work with agents who are club members. Privatize the market data, so only the club members have the comps. No listing feeds to Zillow or other real estate website, resulting in no public access to listings. Brokers could only charge agents a reasonable admin fee, instead of big splits because all agents need is to be in the club. The N.A.R. and all other blood-suckers are eliminated. Club members in full control of market, with no rules or ethics. 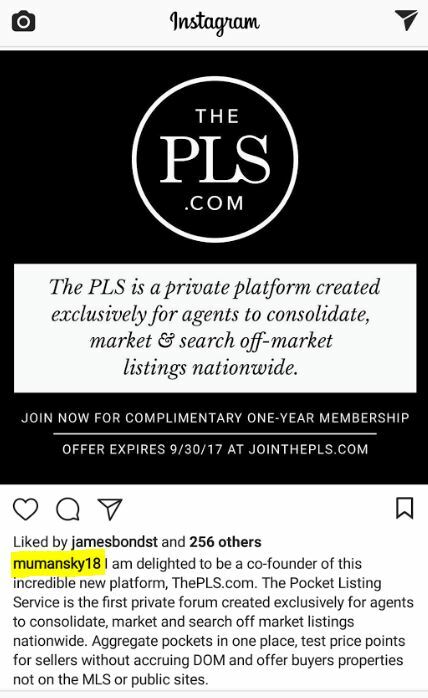 Only agents can join, and let’s make club membership extremely expensive so only the top agents could afford it, which would eliminate the lousy agents. If the cost was $2,000 per month, it would cull the herd immediately. The only reason there are so many pimps making millions off agents is because we let them. We should take back our listings, and control our own destiny! All it would take is a celebrity realtor to create it, and off we go! Revolution! The paperwork has been filed to dissolve Sandicor, our local MLS company. A bitter fight among the three partners has been brewing all year. Two of the three associations of realtors, NSDCAR and PSAR, want to join the efforts of CRMLS and their 80,000+ agents and help create a statewide MLS. Why join forces with CRMLS? Their MLS listings have more/better features. Their consumer-facing website is superior. Agents can have their listings uploaded to Zillow automatically. They have the size and power to fight Zillow if needed. But the third partner, the Greater San Diego Association of Realtors, doesn’t want to join up with CRMLS, and instead wants to create their own consumer-facing portal. 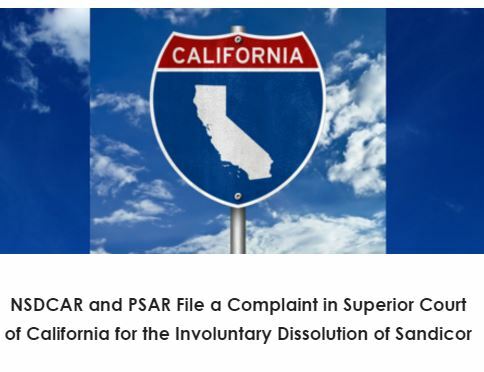 Earlier this year they filed a lawsuit against NSDCAR and PSAR in order to gain full access to Sandicor’s listing data. Like with most divorces, the people involved decide to part ways, rather than to keep bickering when there are fundamental differences in place. What will the dissolution of Sandicor mean for consumers and agents? There might be some uncertainty about having reliable access to the MLS over the next 6-12 months. For now, the plan is to keep Sandicor up and running while a data-share agreement is implemented with CRMLS, which will give agents access to a second MLS. As long as SDAR cooperates with that effort, everything should be fine. However, the SDAR lawsuit is likely to linger. According to their complaint, they have spent hundreds of thousands of dollars building their own consumer-facing website, only to be denied access to MLS data. The courts are being asked to find a solution. The biggest problem – which was solved by the creation of Sandicor in 1991 – is to have all of the San Diego County MLS data in one place. If Sandicor is dissolved, and SDAR won’t join CRMLS, then SDAR will be left to create their own MLS. Agents will have to go back to joining two associations, and working two different MLS systems, which isn’t the ideal solution. What would I do if I were the judge? I’d dissolve Sandicor, make SDAR join CRMLS, and then give them the data feed to create their own consumer-facing portal. It might sound too simple, but in the long run, it is what’s needed. One fear is that the access to the database of sold properties gets interrupted. 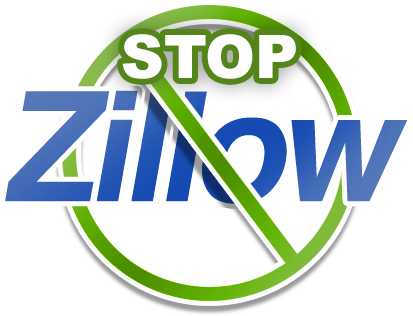 If that happened, agents would be forced to find their comps at Zillow – wouldn’t that be a fine kettle of fish! But we would survive. Agents would migrate to the CRMLS – the only alternative solution – and within six months we would have a new database of sold comps. Today there are over 300 active San Diego listings in CRMLS, so it is already happening. I commend Raylene Brundage and other leaders for taking this dramatic step. It will probably get messier over the next few months, but in the long-term, agents want and need one solid, reliable MLS with a collective voice that is powerful enough to take on the outside disrupters. Buying and selling homes is a big deal for the consumers. They deserve to have the option of hiring agents who can guide them through the process in the most efficient and cost-effective way possible. Having a robust statewide MLS with a voice will help agents do just that. In an effort to simplify the nation’s unwieldy tax code, Rep. Dave Camp (R-Mich.) is socking it to homeowners. His proposal as chairman of the House Ways & Means Committee, The Tax Reform Act of 2014, hits first-time home buyers, jumbo mortgage seekers, homeowners who have ratcheted up big gains in their primary residence, and even homeowners who are aiming to green their homes by making them more energy efficient. Of course, the proposals aren’t law – yet— but here’s where his plan would hit home. The context is streamlined individual income tax rates and an outsized standard deduction. But if you’re a homebody, you’re likely going to be paying more in taxes. Drastic limit to mortgage interest deduction. Today you can deduct mortgage interest on up to $1.1 million in debt ($1 million in acquisition indebtedness and $100,000 in home equity debt) on a principal and second residence, but under Camp’s tax reform proposal that is reined in big time. The maximum amount of indebtedness on which you could take the mortgage interest deduction would be $875,000 in 2015, $750,000 in 2016, $625,000 in 2017 and $500,000 in 2018 and later. Interest paid on home equity indebtedness would not be deductible after 2014. Special rules apply in the case of refinancing as long as you aren’t taking out a bigger mortgage. Tightening of exclusion of gain from sale of principal residence. Camp’s proposal tightens the rules for excluding gain from the sale of your home. Currently you can exclude $250,000 ($500,000 for a couple) of gain if you’ve owned and used the residence as your principal residence for at least two of the five years before you sell. The proposal changes the rules so that it only applies if you’ve used the residence as your principal residence for at least five of the eight years prior to the sale. It also limits the exclusion so it only applies once during any 5-year-period (up from 2 years). And it phases out the exclusion by one dollar for every dollar a taxpayer’s adjusted gross income exceeds $250,000 ($500,000 for a couple). Bloomberg has an article on the traditional real-estate-agent model, and the upstarts trying to change it. Why has the traditional-agent model been so resilient? It’s because the upstarts won’t pay the money to attract great agents. A new model could work if the upstart company would hire the great realtors to implement it. Redfin has an opportunity primarily because they offer the only alternative (no offense to the zippers), and none of the big corporate realty firms seem to mind (you don’t see Prudential or Coldwell Banker going for mega VC money to build a slick website, etc.). But the Redfin method of having part-timers show houses to the buyers is flawed, and when the market is so intense like it is now, it seems unlikely that enough clients would endure. They might get away with it though, in a rising market – if they can win the bidding wars, and/or adopt the old Century 21 model and just hire every licensee who can fog a mirror, and hope to make it on sheer numbers. The article points out that Redfin may IPO in 2014, which should put the squeeze on profitability. Regardless of which upstart poses the threat, traditional agents can always cut a similar commission deal, if necessary, to stay in the game. The agent’s competency should play a bigger role in who gets hired – these are huge transactions for the consumer, and they want quality help. The Occupy Oakland group is starting a new wave of occupations. They intend to occupy vacant properties. On Wednesday, a group of Occupy Oakland members took a first step in this direction by entering a vacant building formerly used by the Traveler’s Aid Society. The group “hoped to use the national spotlight on Oakland to encourage other occupations in colder, more northern climates to consider claiming spaces and moving indoors in order to resist the repressive force of the weather,” states a blog post on the Occupy Everything! Blog. Hat tip to daytrip for sending in a youtube of a demonstration over foreclosures in a NY courtroom. I don’t think this is the answer, and doubt that it will lead to much. But civil disobedience has always had a place in America, can these protesters find a way to channel it in a positive direction?